IBM released a new update for IBM Verse in June 2017 - here is a link to "what's new". However I don't think the way it works is correct. 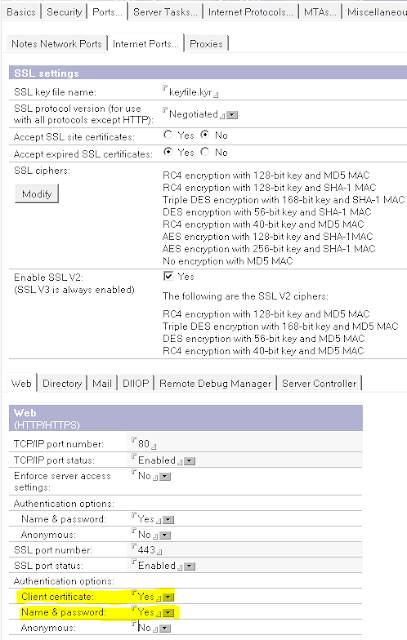 This means that HTTP server allowed authentication either with login/password or with certificate. I try to highlight here that users had choice. 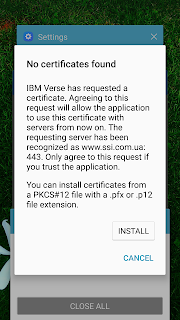 However with the June IBM Verse update Android users can NOT any more use IBM Verse without importing certificate if "Client certificate" option is set to "Yes" in the Domino configuration. 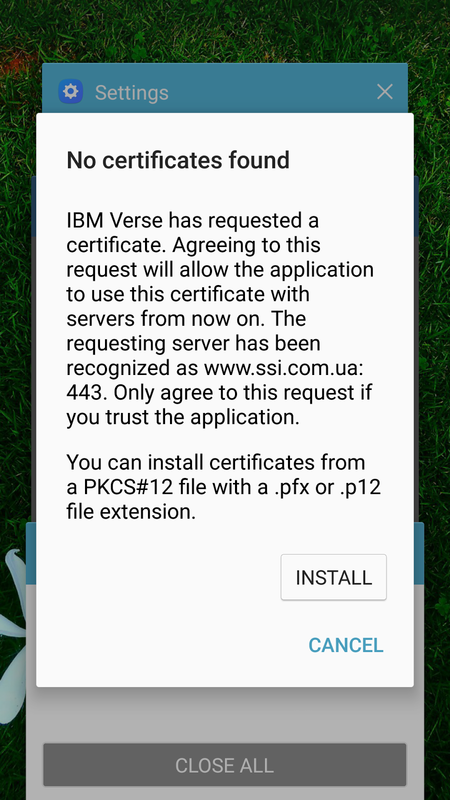 When I chose "CANCEL" button on the previous screen I was moved back to the beginning of the process - in other words I couldn't complete IBM Verse setup without importing certificate. I suspect it could work OK if Domino Administrator would prepare certificates for all users earlier - but that wasn't my case. 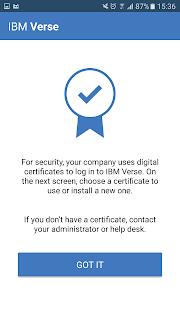 Eventually I had to disable "Client Certificate" authentication option in Domino configuration to let users to use IBM Verse with login and password. Fortunately my customer didn't really use "Client Certificate" authentication so it didn't have any consequences. I found all this very strange and I do not understand why IBM didn't provide kind of "SKIP" button to let users to continue using name & password authentication in IBM Verse. I imagine which "nice" affect it could have if it would happen in a huge company with thousands of users without previously generated certificates for users and without possibility for Domino Administrator to just disable "Client certificate" authentication in Domino configuration (no matter what the reason is). That does seem a bit odd. I'd read the Domino setting as "either certificate *OR* password" with those settings in the first screenshot. 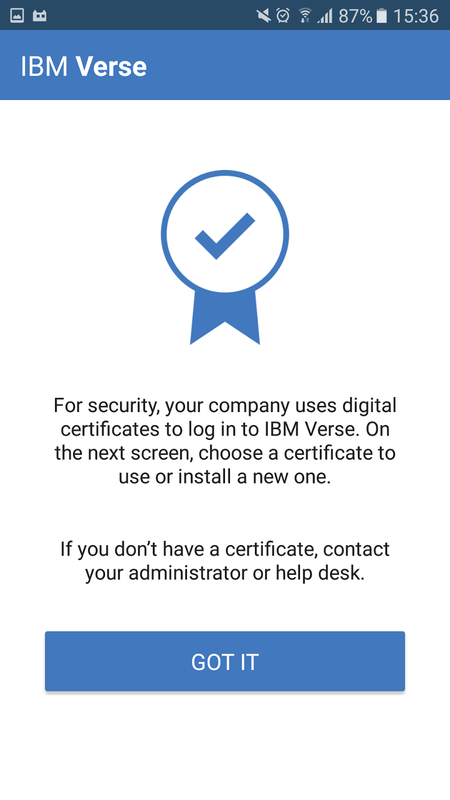 But Verse seems to think "certificate only". Yes, that was my point also.